Styled with paradise tote . 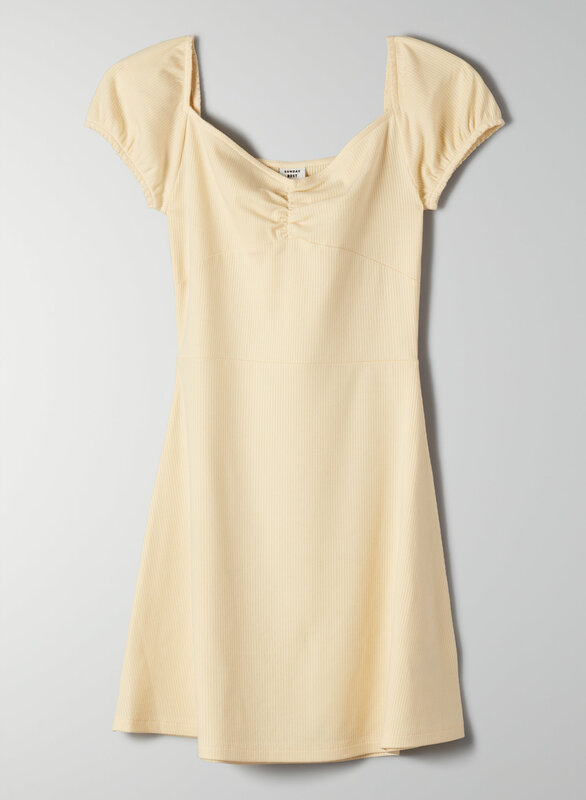 This is a fit-and-flare dress with a sweetheart neckline that can be worn on or off the shoulder. It's made from a stretchy, ribbed fabric that hugs the body.